The size of your digital publication will depend on the content within the edition; so the number of pages, videos, audio clips etc.. will all go towards the final file size, the more content you have in your publication the larger the end result will be and the longer it will take your users to open the digital edition to view. Always remember by altering the “DPI” and “Image quality” to a lower setting you can lower the demand on the end user’s server. Since the final product of the 3D Issue is a Flash file, most hosting companies can host your digital versions with ease. Although as with most things, some hosting providers provide better results and services than others. So what should customers look out for when selecting a hosting provider? And how can they find the right host for all the 3D Issue digital magazines produced using our software? Option 1: Use your own space: Most of our software users would have space already and use that. If you don’t have a hosting solution we strongly suggest option 2. 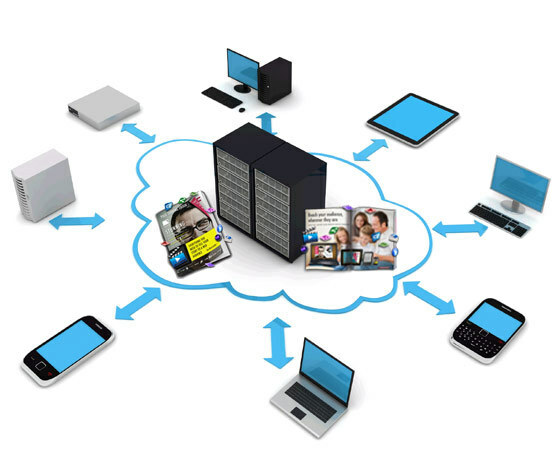 Option 2: Use 3D Issue cloud hosting service: Some startups or other companies for whatever reason need space and use our 3D Issue cloud hosting service. • Hosting from Amazon backed CDN based server system for the fastest delivery possible anywhere in the world. Option 3: Use an external hosting provider: There are lots of sites that review hosting providers and provide reviews and ratings on the service, Hostjury.com is one of these sites and reviews hosting companies based on a number of including, uptime, support, features, price and overall rating. This site also allows users to rate the hosting companies and add their own comments so you get valuable opinions from those that have experienced the service first hand and therefore find the best hosting company for your needs. Taken from Hostjury.com, here are the top five hosting providers in the United States: SiteGround, Arvixe, HostPapa, ServInt, Namecheap. Also you can visit our knowledge base for more information on hosting or email info@3dissue.com for advice from one of our digital publishing experts.